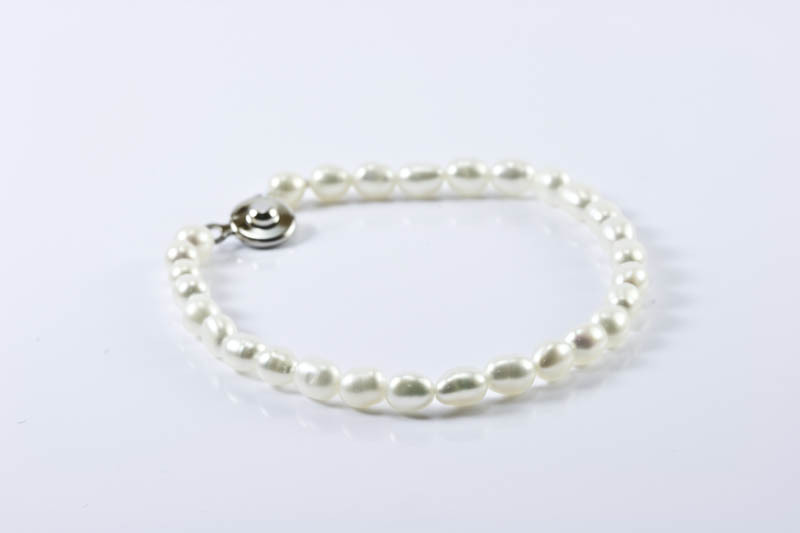 4-5mm 5.5" Freshwater Pearl Bracelet (Rice Shaped),Silver Clasp. 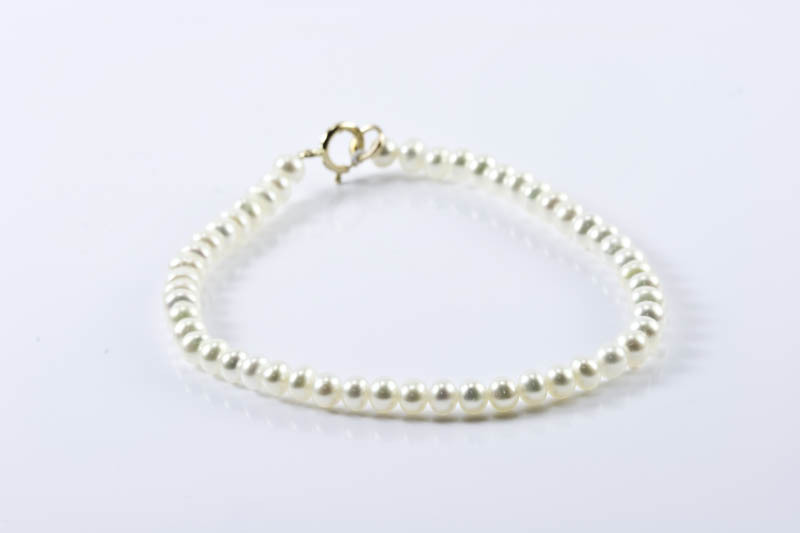 This is an elegant pearl bracelet. 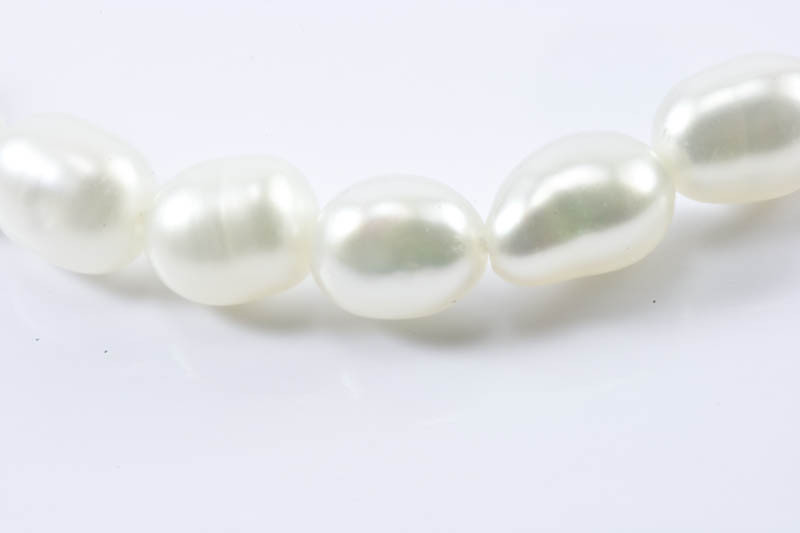 Pearls are 4-5mm rice shape fresh water pearl, fine white color with pink and rainbow overtones. 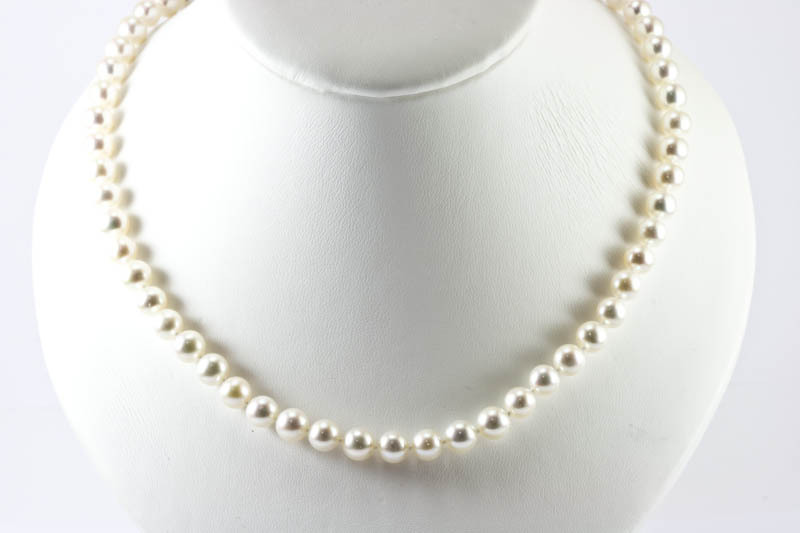 Pearls are high luster and excellent surfaces. 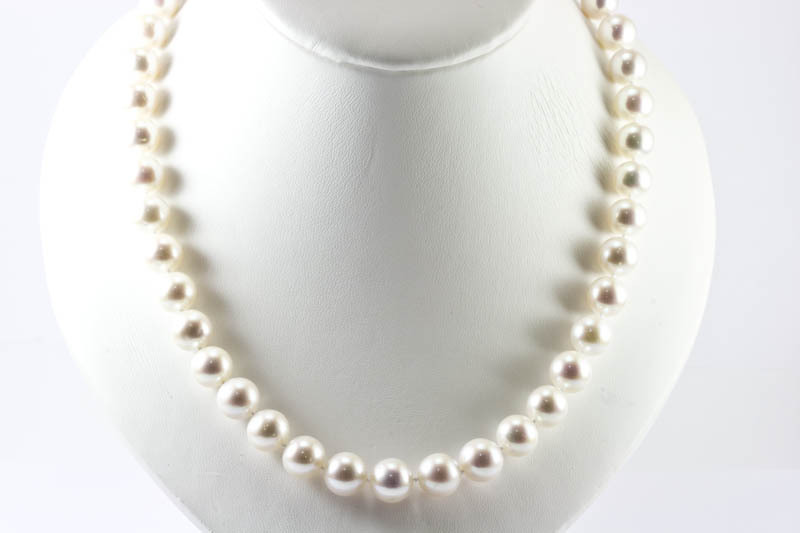 We have been operating our online store since 1997, thousands of customers have been satisfied with our products and services. 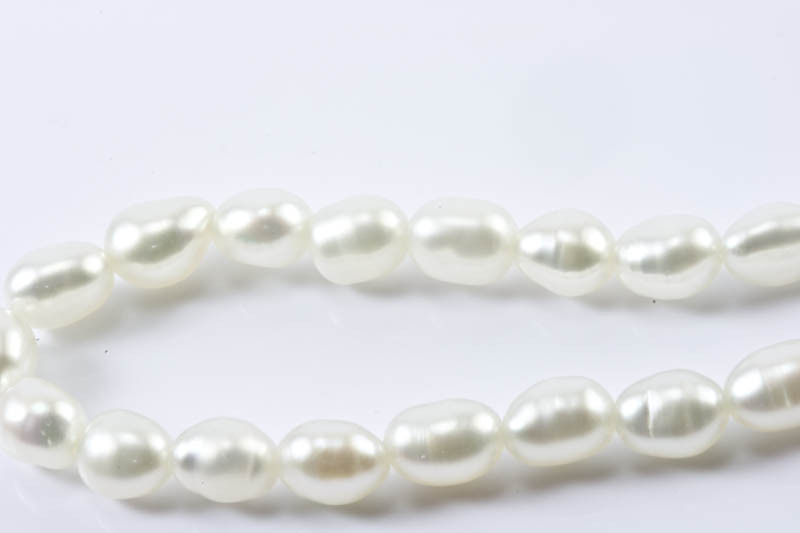 Free USPS priority shipping for all orders over $100. 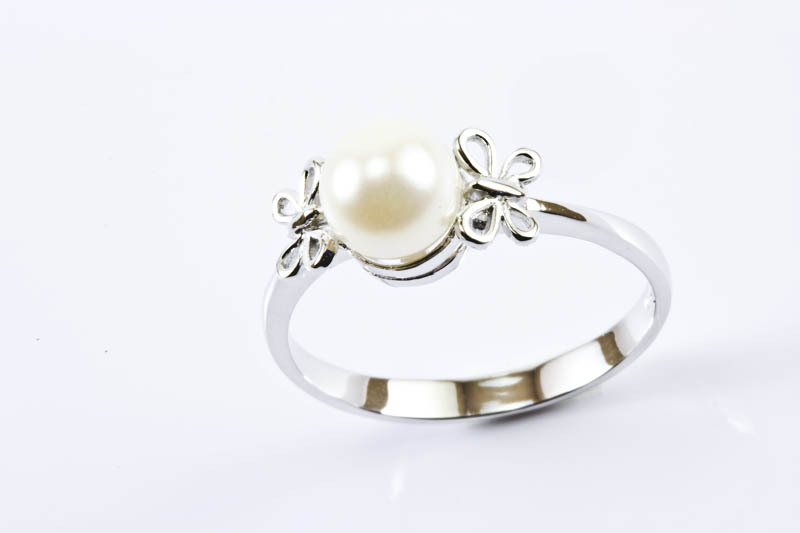 Excellent prices, top quality, exquisite designs, and great service. 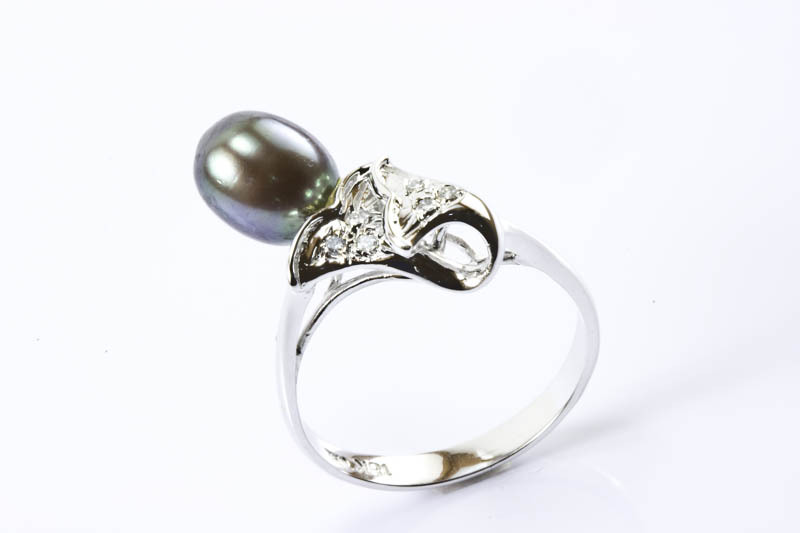 All jewelry come with elegant boxes or silk pouches with beautiful gift bags and tissues. 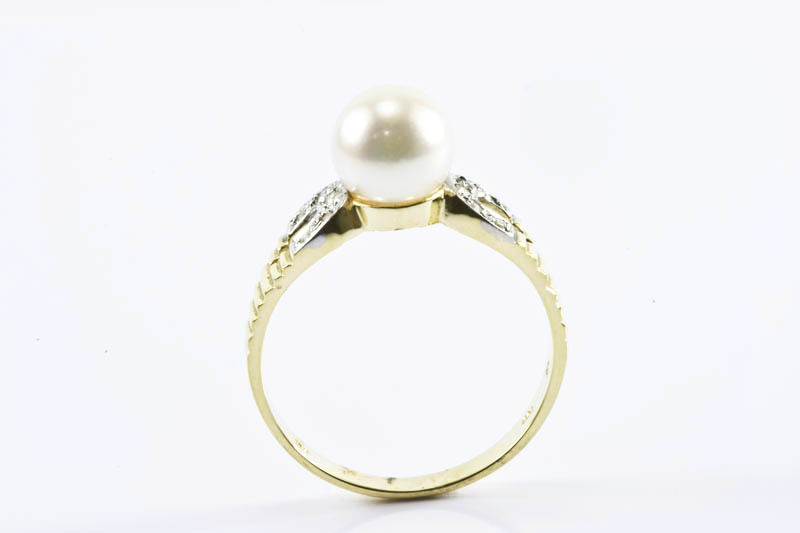 All jewelry over $500 come with free certified appraisals, stating their market value.